← Harry Harkness in a Mercedes Simplex, at the Detroit Driving Club’s 1 Mile Track in Grosse Pointe. American Memory collections, Library of Congress. 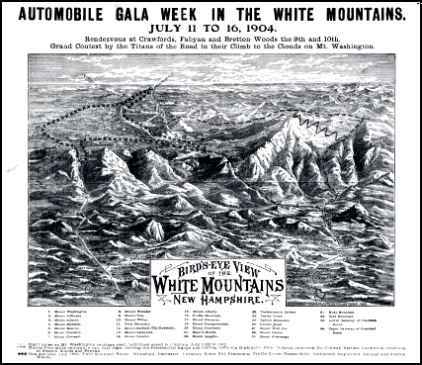 Gift of Henry Austin Clark, Jr.
ONLINE RESOURCES If you search for “Harry S. Harkness” +”auto racing” using the Google search engine, (9-19-10), you will find about 117 links. Harry Harkness You will find a brief review of his activities in auto racing on this page of the Wikipedia website. You can access the page by clicking on the title above. SHEEPSHEAD BAY SPEEDWAY This page tells the very interesting story of the Sheepshead Bay Speedway in Brooklyn, New York, 1915-1919. 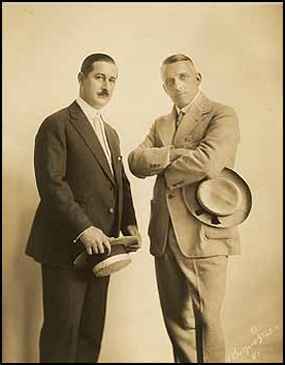 In 1916, Harry was listed among the Officers as the President and Everard Thompson as Vice-President and General Manager. You can access the page by clicking on the title above. 1903: Henry Ford never raced again after his 1901 victory, but he sometimes drove the race cars. 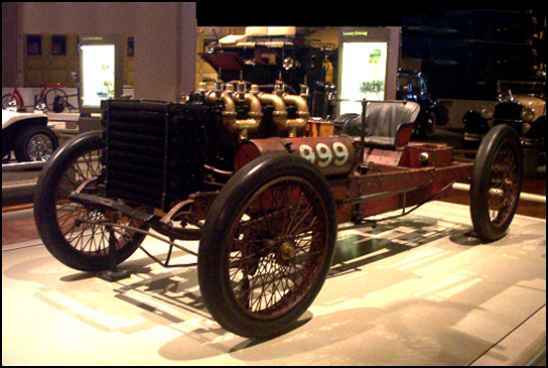 He drove 999 in a 1903 demonstration run with Harry Harkness at the Grosse Pointe track. This page on the Henry Ford website displays a very nice photo of the event. You will have to manipulate the thumbnail image to enlarge it so it can be appreciated. You can see Harry, at the right, handing the trophy to Louis. 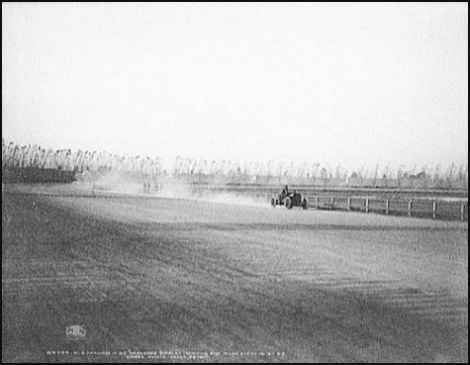 Louis Chevrolet wins Harkness TrophySheepshead Bay, New York. Long front angle pan shot of the crowded grandstand. Long ground angle shot of the cars starting, coming to and passing camera. Ground angle shot of the cars coming to and passing camera, ground angle shot of the cars whizzing by the camera, long shot of the cars on the far side of track. Long angle shot of the cars passing the grandstand. Semi close shot of Louis Chevrolet seated in car and semi long shot being presented by Harry Harkness with flowers and Harkness trophy. 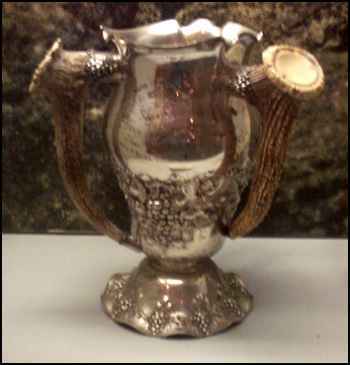 Semi close shot of Harkness Trophy. This entry was posted in The Piano. Bookmark the permalink.